This is the major autobiographical statement from Nobel laureate André Gide. In the events and musings recorded here we find the seeds of those themes that obsessed him throughout his career and imbued his classic novels The Immoralist and The Counterfeiters. Gide led a life of uncompromising self-scrutiny, and his literary works resembled moments of that life. 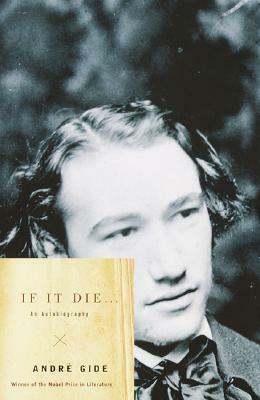 With If It Die, Gide determined to relay without sentiment or embellishment the circumstances of his childhood and the birth of his philosophic wanderings, and in doing so to bring it all to light. Gide’s unapologetic account of his awakening homosexual desire and his portrait of Oscar Wilde and Lord Alfred Douglas as they indulged in debauchery in North Africa are thrilling in their frankness and alone make If It Die an essential companion to the work of a twentieth-century literary master. André Gide was born in Paris in 1869 and died there in 1951. He was awarded the Nobel Prize in Literature in 1947. His works include The Immoralist, The Counterfeiters, Strait is the Gate, the autobiography If It Die . . . , and three volumes of Journals. He also wrote plays, essays, short stories, and books of travel.